Tubbygaijin.com » Tamatsukuri’s new shopping complex is a giant train! 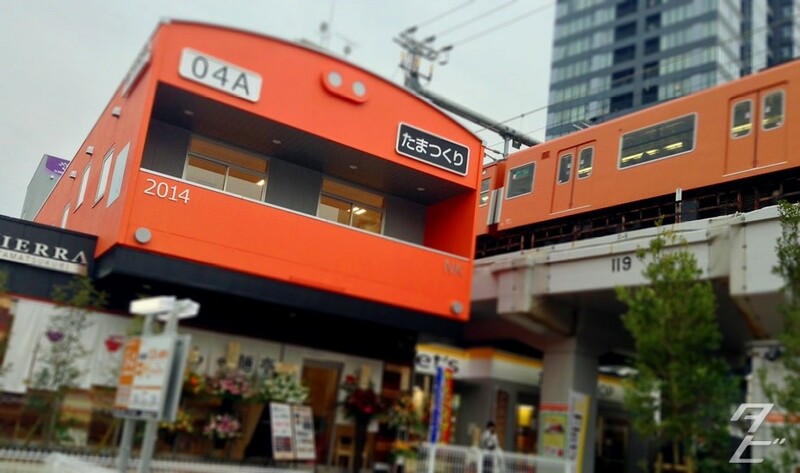 Tamatsukuri’s new shopping complex is a giant train! 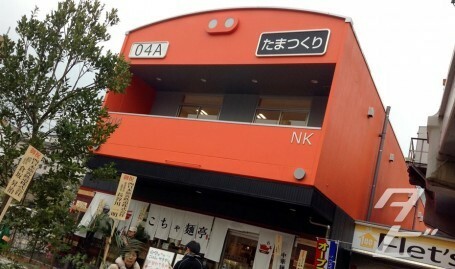 A brand new shopping complex opened in Tamatsukuri(where I live) today, situated conveniently right next to Osaka loop line it houses a gym, nursery, 100 yen store and a ramen shop. Sounds pretty standard, right? Nope… this building is a gigantic orange train! Designed after the loop line’s signature orange 103 series rolling stock, this 150-meter long building is a really unique addition to the area. 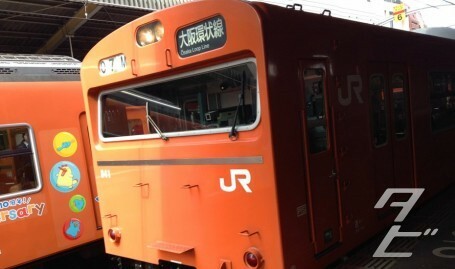 Some nice attentions to detail include replacing the car number with the year of construction, and the service information board has the town name written in Hiragana (たまつくり), whatever the NK stands for is anyone’s guess though! Here it is side by side with an actual 103 series. I love how instead of just throwing up a nondescript building they decided to something a bit different, and as I train nerd I find it particularly cool 🙂 only in Japan!